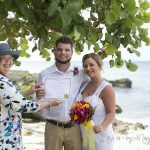 Apart from cruise ship weddings which are done in the morning while the ships are in port, usually from 7am - 4pm, sunset is the most popular time of day for Grand Cayman weddings. This was taken by the mother of the groom, this Canadian couple live near the Arctic Circle. They were visiting his parents who live in Grand Cayman. This was one of the first weddings I did after I got my own Register in April 2007. 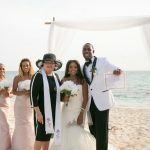 Before this I shared a Register with my mom, Francine, also a Civil Registrar of Marriages (her company is Cayman Weddings, and she has been conducting wedding ceremonies for 25 years). This is a local couple who were married on the beach at The Meredian. The photo was taken by one of the guests. I liked their wedding arch which was done with coconut fronds. This photo was taken at Cayman Kai, one of my favourite spots. On this side of the island you can find truly private beaches, especially if you're staying at one of the villas up there. This is another shot of a pier at one of the Villas of the Kai, taken by Rebecca Davidson of Picture This. Many couples who are married on this end of the island choose to have dinner set up and served on the beach by one of the island's very good catering establishments. This is one of Fevi's shots of a wedding we did together at the West Bay Public Beach. Shots on the pier in the background are very popular. 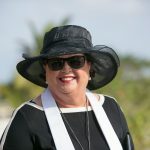 I hope you'll come back and visit my blog often if you're thinking about a Destination Wedding. This is probably the busiest time of year for weddings, it is not yet too hot. and by sunset the temperature has cooled off enough to be comfortable. Whether or not I arrange your wedding photography, I will be happy to post your pictures for other potential brides to see. 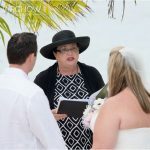 Please call me at (345)5256551 or email me at mywedding@candw.ky to start talking about your Grand Cayman Wedding.